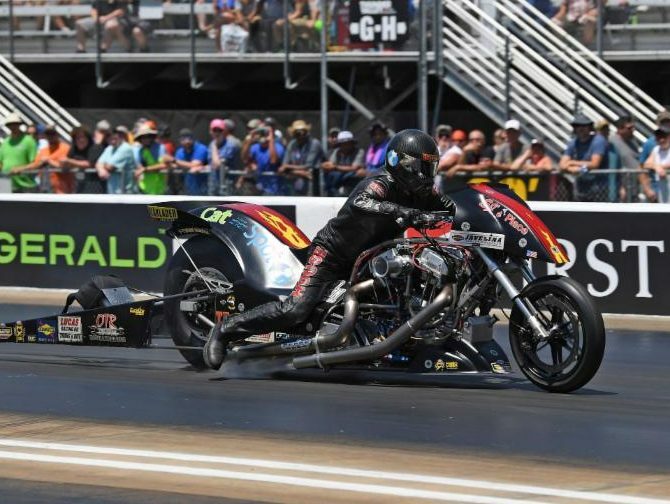 Rickey House powered his CatSpot Organic Cat Litter Top Fuel Harley-Davidson to the semifinals of the sixth annual NHRA New England Nationals Sunday at New England Dragway to pace the efforts of CatSpot Racing, which include Top Fuel dragster pilots Scott Palmer and Dom Lagana. After qualifying fourth overall, House used the lowest elapsed time of the meet to beat Beau Layne in Sunday’s opening round of eliminations. 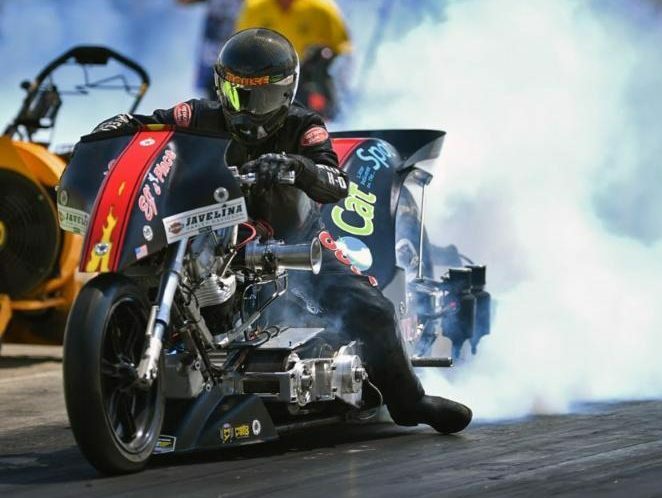 House’s run of 6.283 seconds at 220.91 mph was more than enough to trailer Layne, who posted a 7.216 at 139.60 mph. 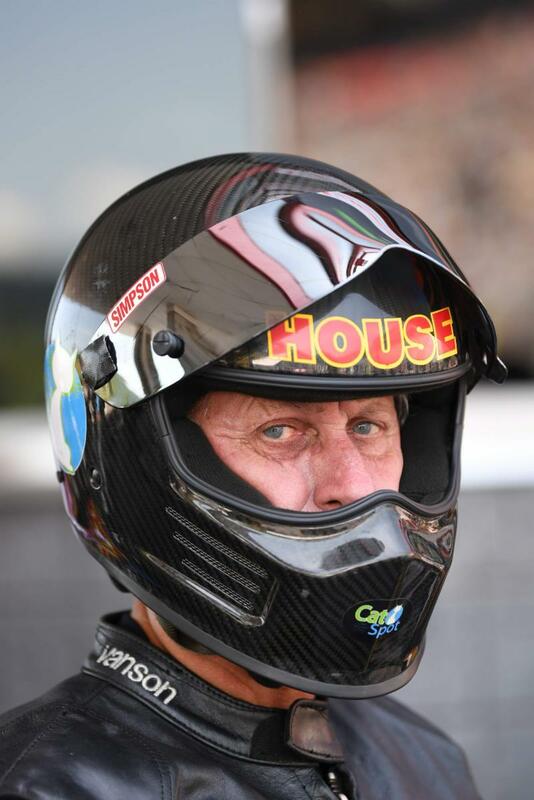 The quick run gave House lane choice against points leader Doug Vancil in the semifinals but a loss of traction just off the starting pad negated the lane-choice advantage and House’s quicker reaction time, ultimately allowing Vancil to advance to the final with a 6.268 at 226.70 mph to House’s resigned 7.621 at 141.94 mph. “I tried to back it down a little bit in the second round,” House said. “In the first round, when I ran the .28, I actually had to pedal it a little but I was able to recover and still make a great run. That’s why I tried to back it down a little bit in Round 2. I just wasn’t able to save it a second time.